You are here: Home > Blue skies at Orchardleigh. Posted by Lorely on April 24, 2015. 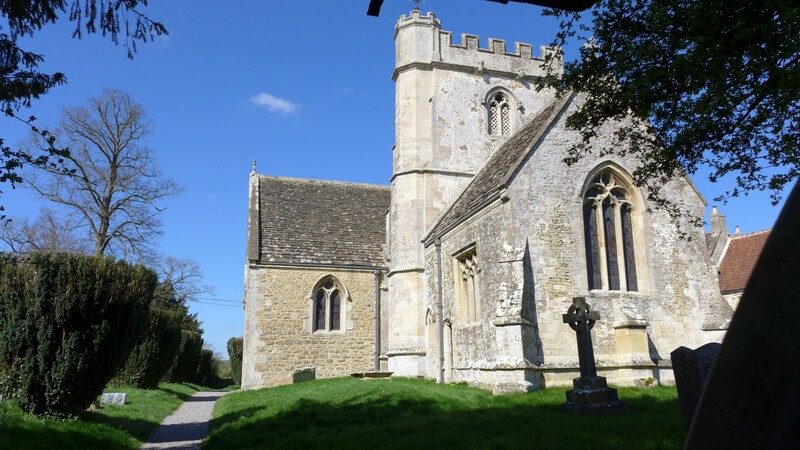 With Christmas, valentines day and Mothering Sunday over, we are in full swing with weddings and so far it has been a perfect spring, there was hardly a cloud in the sky when we went out to decorate Lullington church last weekend. 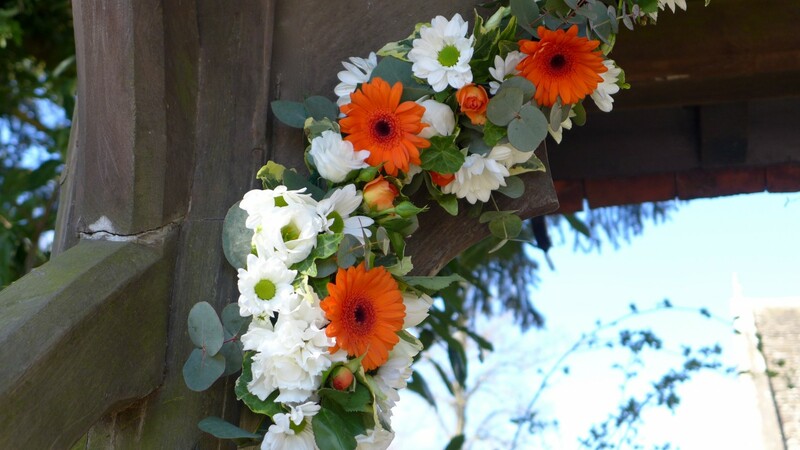 It is always lovely to decorate the traditional wooden archway leading up to the church, and for the reception at Orchardleigh the Bride and Groom had hints of orange so this was carried through in the church flowers and in the flowers on the archway. 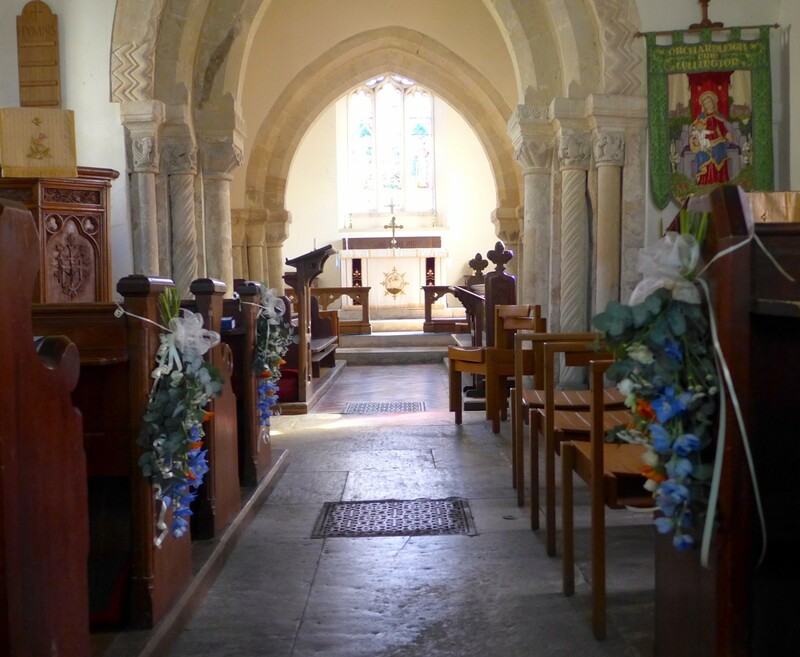 The church is a beautiful country church set in the peaceful and tranquil village of Lullington, just outside of Frome. With only the sound of birdsong, and on a sunny spring day it felt like a very special place for a wedding. For the pew ends we tied bunches of pale blue delphiniums, with white santini, lisanthus and orange gerbera, giving the church a touch of colour but keeping a natural feel of a rural location. 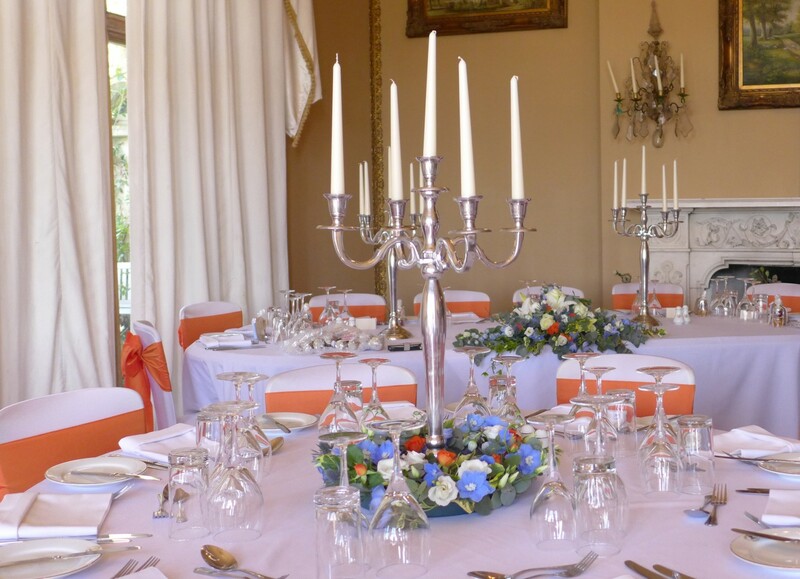 The wedding reception was held at Orchardleigh house, one of our favourite wedding venues set in the beautiful grounds of the Orchardleigh estate. it is always a pleasure to decorate the house here, and we were working along side Marie from A day to Cherish- wedding and event planners. The orange of the Naranja roses worked perfectly with the chair ties and really complimented the gold tones of the ballroom. 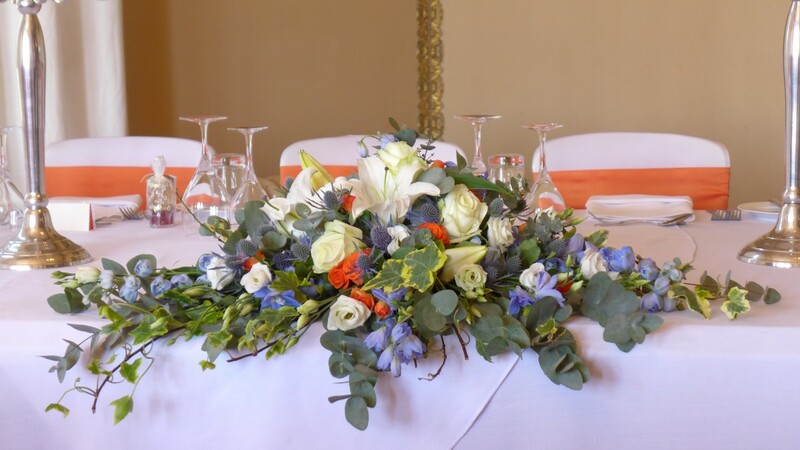 The table centres, rings of roses, lisianthus, eryngium, ivy, eucalyptus and pale blue delphiniums. The blue of the delphiniums and eryngium gave the flowers a lovely spring look. 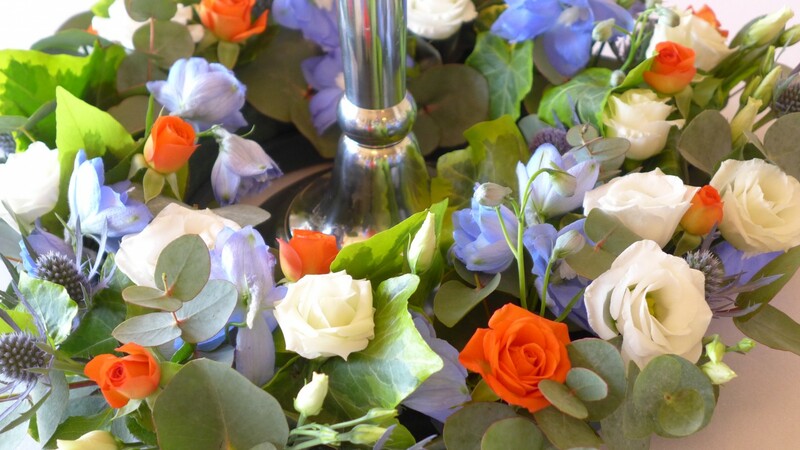 The top table flowers for Hannah and Edward, hope they had a very special day.